Established since 2000, the de Pacific Dental Group provides our patients with comprehensive, high-quality dentistry that offers our unique brand of personalized and professional dental experience in a safe and comfortable environment. Opened in December 2014, de Pacific Dental @ Balestier's Zhongshan Mall is the latest of our network of clinics located across Singapore over at Ang Mo Kio, Jurong West and Pasir Ris. We are also CHAS, Pioneer Generation and Medisave-accredited. With 150 stores island-wide, Guardian Health & Beauty operates the nation’s biggest chain of pharmacies and retails a comprehensive range of health & beauty products. Professional services such as patient-care counselling, dispensary services, beauty and personal care solutions are offered at all stores as a convenient one-stop for health and beauty. Hockhua Tonic, a household name in Singapore and Malaysia since 1989, is known for its retail chain of stores stocked with traditional Chinese medicines (TCM), health supplements and tonics. 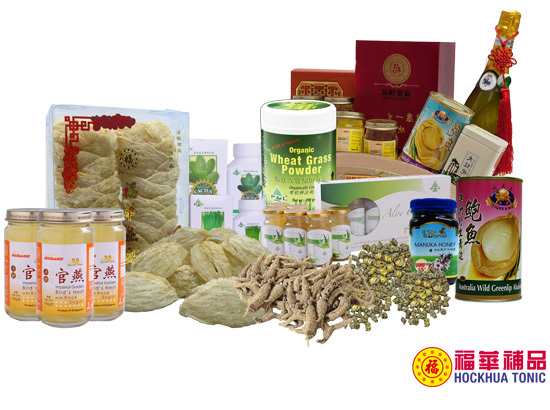 Renowned for its ginseng and selected range of bird’s nest products, it also offers seafood delicacies such as abalones, scallops, Chinese herbs and a wide range of Singapore-produced and packed TCM products. Qian Jin TCM Clinic’s clientele includes international visitors and locals. Our registered and qualified physicians offer an array of traditional Chinese medical cures. We specialise in acupuncture; therapeutic cupping massage and revitalising herbal prescriptions to soothe aches and pains and improve general health. ZHONG YUE Therapy is known in the wellness industry as a reliable, professional and trusted provider of healing and massages services with oriental medical techniques, and professionally managed by a team of male and female therapists who have at least 50 years of experiences combined. Our core service values are to assist clients in maintaining great health, healing to injuries and providing relaxation to which arise from stress, body tissue overuse and adhesions. ZHONG YUE understands clients’ requirements, and offer advices to the clients on appropriate approaches to each healing. Within a span of 10 years in service, ZHONG YUE has already achieved the reputation of being “The authentic healer” and this we have a strong clientele base of more than a 1000 to thank for. LiveWell Medical vision is to provide affordable and high quality healthcare service to our patients. We strive to treat our patients with compassion – We will listen to your concern and are committed to provide excellent medical care to you. We provide a wide range medical services which include treatment of acute & chronic conditions for adults and children, minor surgery, vaccinations, travel health and health screening. We also provide after hour care and house call for the convenience of the patient around the area. We are conveniently located in the heart of Balestier Road ,at Zhongshan Mall.